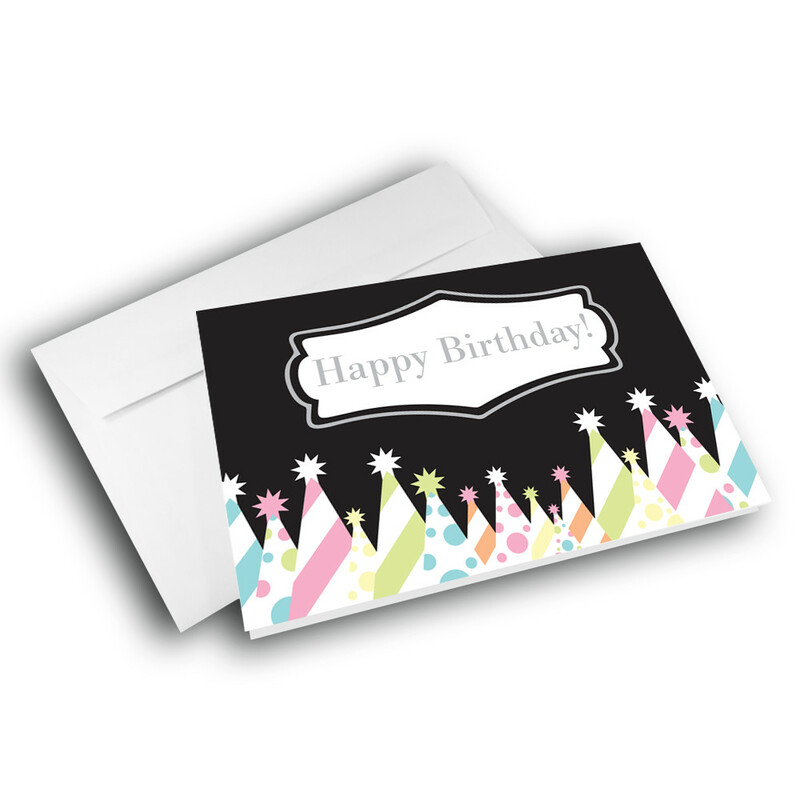 Send a stylish, modern bday card to wish a happy birthday on someone's special day. 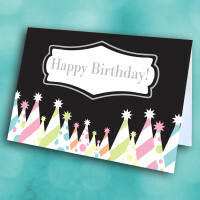 This classy, modern birthday card is the perfect way to share some birthday greetings. 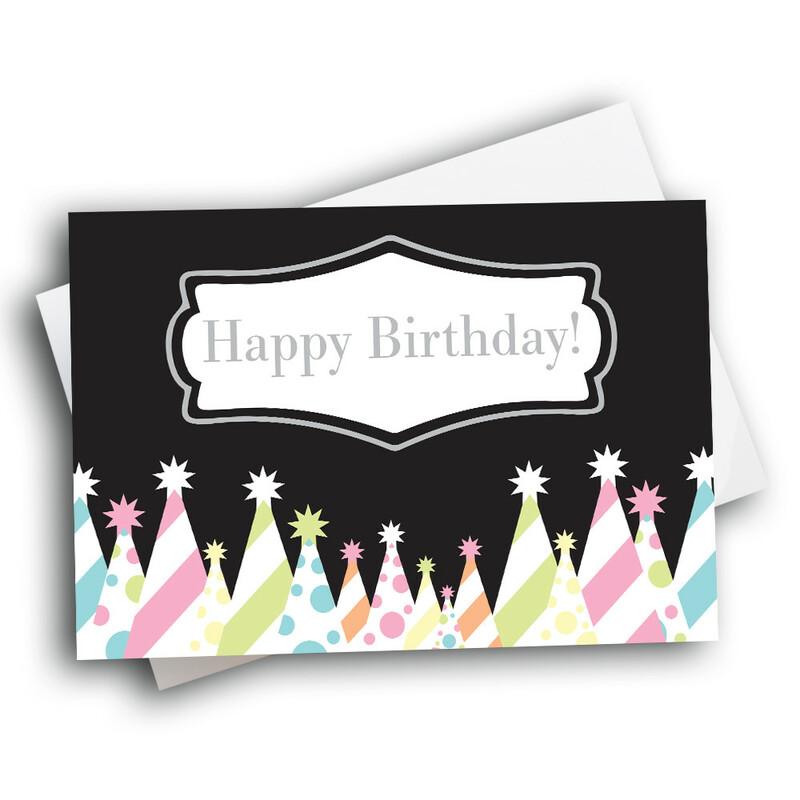 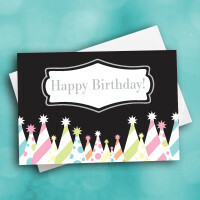 The simple black background makes the stylish birthday greeting stand out. 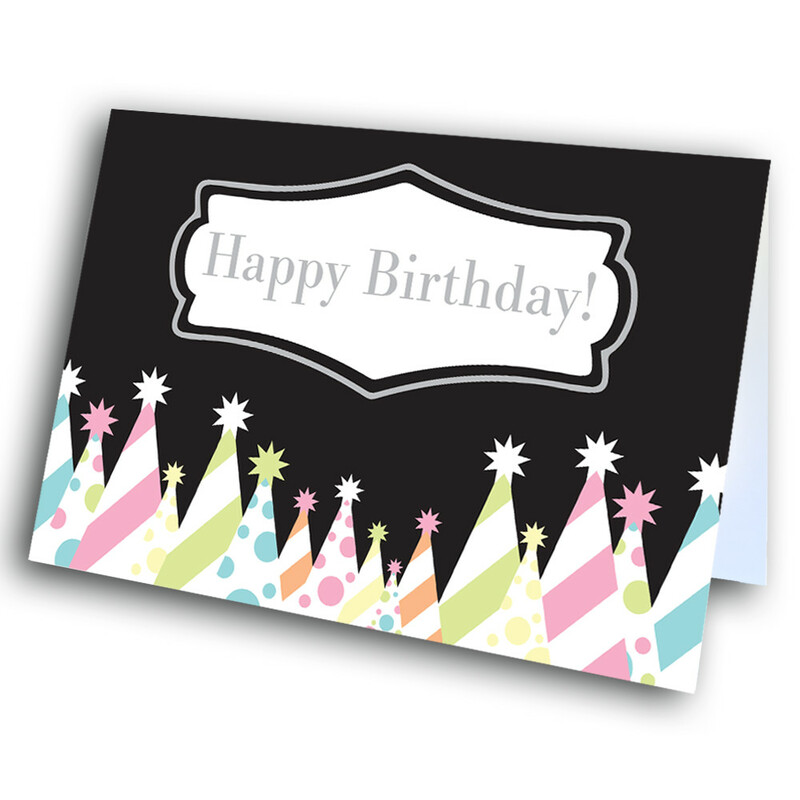 Along the bottom sit numerous, artistically designed birthday hats, topped with bright stars. 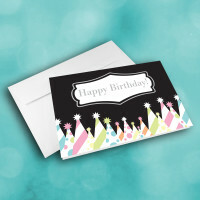 Customize a message inside to personalize this greeting card.